The dock line that ... STRETCHES. Hook one end to your boat cleat, stretch other end to dock cleat a.. Innovative, versatile multi-loop bungee allows a perfect fit for any span to 7'. Simply place the en..
Brightly colored durable nylon stretch cord. Stainless steel hooks. Pack: 4Size: 5/16" x 12"..
Brightly colored durable nylon stretch cord. Stainless steel hooks. Pack: 4Size: 5/16" x 36"..
Brightly colored durable nylon stretch cord. Stainless steel hooks. Pack: 2Size: 5/16"..
Brightly colored durable nylon stretch cord. Stainless steel hooks. Pack: 2Size: 5/16" x 12"..
Brightly colored durable nylon stretch cord. Stainless steel hooks. Pack: 2Size: 5/16" x 24"..
Brightly colored durable nylon stretch cord. Stainless steel hooks. Pack: 4Size: 5/16" x 100'..
Brightly colored durable nylon stretch cord. Stainless steel hooks. Pack: 10Size: Variety bag..
Brightly colored durable nylon stretch cord. Stainless steel hooks. Pack: 22Size: Variety jar..
Made of heavy-duty nylon material that resists cracking even at 45° below zero. 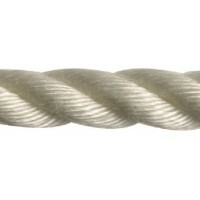 Not just for fasteni..
A durable, long-wearing and easy-to-handle line that outperforms all other 3-strand nylon lines. Hig.. 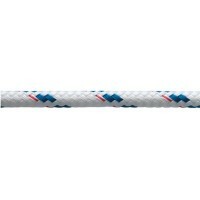 Applications: Halyards, Control Lines or Sheets Size: 1/2" x 600'Color: White.. 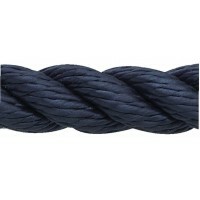 Applications: Halyards, Control Lines or Sheets Size: 3/8" x 600'Color: White.. Applications: Halyards, Control Lines or Sheets Size: 5/16" x 600'Color: White..
Sta set 1/4 x 600 blue fleck Size: 1/4" x 600'Color: Blue Fleck..
Sta set 3/8 x 600 blue fleck Size: 3/8" x 600'Color: Blue Fleck..
Sta set 5/16 x 600 blue fleck Size: 5/16" x 600'Color: Blue Fleck..
Sta set 7/16 x 600 blue fleck Size: 7/16" x 600'Color: Blue Fleck..